One of the coolest tools at CHA 2015 was the new Photo Sleeve Fuse tool. Used to cut and fuse plastic sheets and scrapbooking page protectors, this heat tool creates opportunities to make custom pockets for scrapbooking, waterfall cards and pages, and even attach embellishments. This cool bundle is coming to HSN soon. Check out this post and video to take a look at what is inside, how it works, and what you can do with it! I am pleased to team up with WRMK today to share with you this overview and let you know that there is a special bundle coming soon to HSN! Disclosure: Samples provided for review purposes; however my opinions are honest and my own and based on my first-hand experience. I was financially compensated for this post. Some links below may be affiliate links and I will be compensated with a portion of the purchase price- usually 5-7%. So thank you for your support! I tried all of the tips, and I found them easy to use. The only hard part? Waiting for them to cool so I could switch them out! I’m such an impulsive crafter I think I might get a second one just so I can keep the plain fuse/cutting tip in one, and have a decorative tip in the other. Since I’m impatient, I used a flat-tip set of jewelry pliers to unscrew the tips and placed them, still warm, into a terra cotta coaster. Test on scrap plastic before you work on your project. I tested all of the tips. With each, it took 2 minutes or so for the tip to heat to the right temperature. I suggest keeping one sleeve as your “tester” so that you can ensure it’s hot enough to continue. And here’s your common-sense warning: the tips are hot. Do not use around children or animals. Take reasonable precautions not to touch yourself with the tip! I wanted to see if free-handing worked as well as with the rulers… so I tried it out. You certainly want to go slow and get a nice cut/fuse. But you can make any shape you want! Fusible die-cuts and cards- what a concept! Next I tried fusing some of the fusible shapes that WRMK provided. Its amazing- and really just FUN- to use the Fuse the elements of your project together. Want to see? I made a quick-time video for you. It’s only 2 minutes! I really had a great time crafting without ANY ADHESIVE! MSRP on the kit is over $100, but the one-day special will be a fraction of that price. We can’t reveal HSN TS pricing until July 1, but it’s AMAZING! 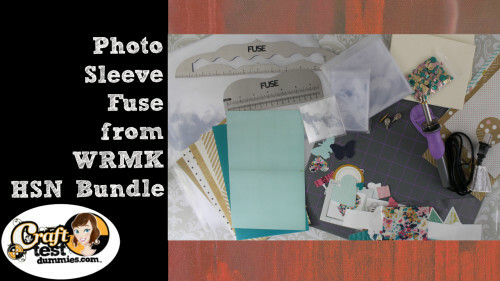 The Fuse is a heat tool that easily allows the user to easily create custom pockets and sleeves for use in sealing keepsakes, memorabilia, crafts and party decor. So there you go! I’m going to do some experimenting and I’ll have a full review video soon. But in the meanwhile, I have to ask- are you excited about this tool? Would you use it in your crafting? I can’t wait to tune in on Wednesday July 1 to see the presentation on HSN! OMG Jenny this is an amazing tool and kit. I so can’t wait to see it on HSN and buy it!! I’m glad about your comment about a good idea for you to have two Fuse tools since I already have one so definitely a great point made you always give great unbiased and honest reviews. Love everything thing your shared as to what this amazing tool and kit has to offer. YOU so ROCK!! CONGRATS about being chose to rep WRMK Smart on their part! My old fashioned wood burning tool works just great for making the shaker pockets out of the plastic sleeves. Do you see any difference in the tools? Looks like the same thing. I bought just the tool with 2 blades and have had some luck with it. I use regular plastic photo album pages. 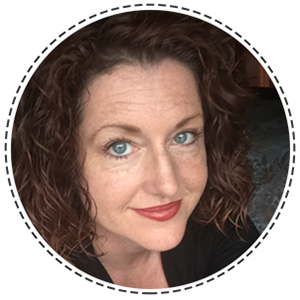 I will be anxious to hear some great tips from you! Doreen- it was in the HSN bundle. Not sure if they have it available for purchase separately yet….